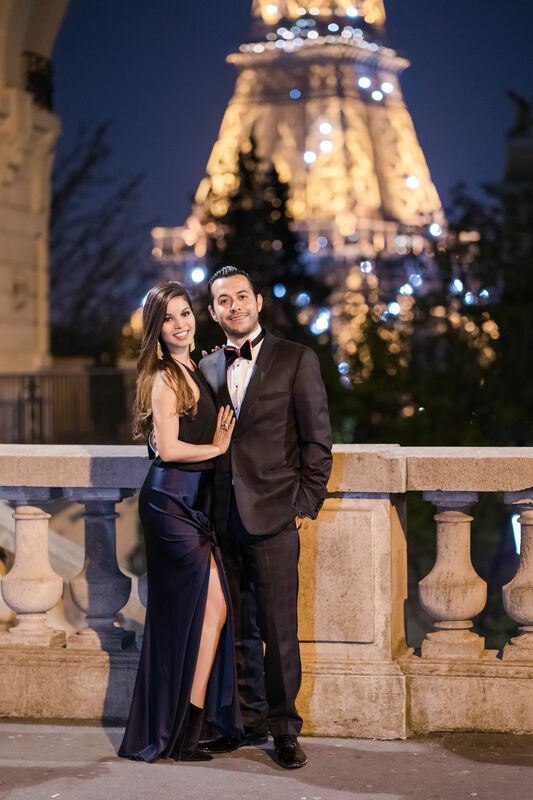 Alejandro, from Mexico City, sent me an email explaining how he and his girlfriend would be attending the opening night of Don Pasquale at the Opera Palais Garnier in Paris. 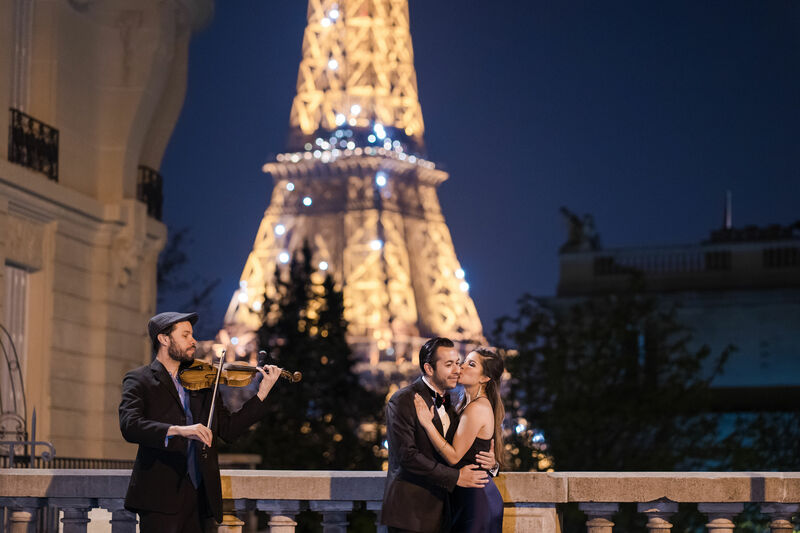 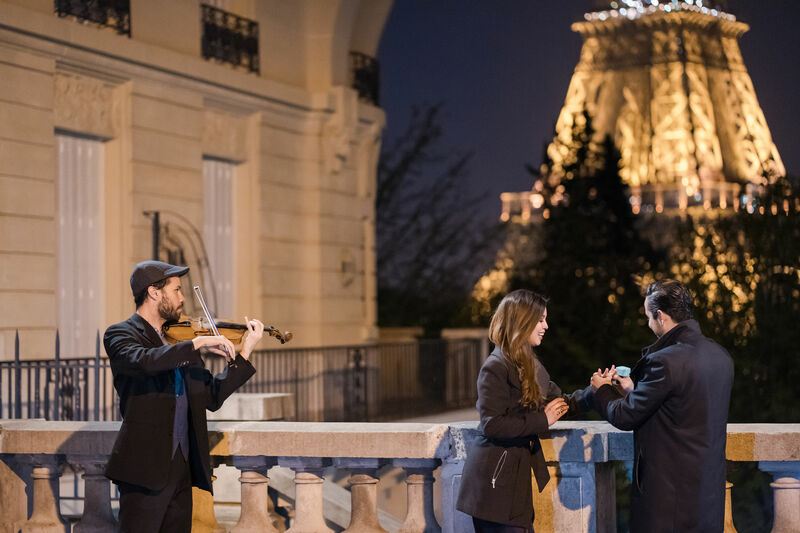 His idea was to get all dressed up for the Opera, then afterwards they would stroll around the Eiffel Tower and he would propose to Brenda with a violinist playing “A Whole New World” from the Aladdin soundtrack. 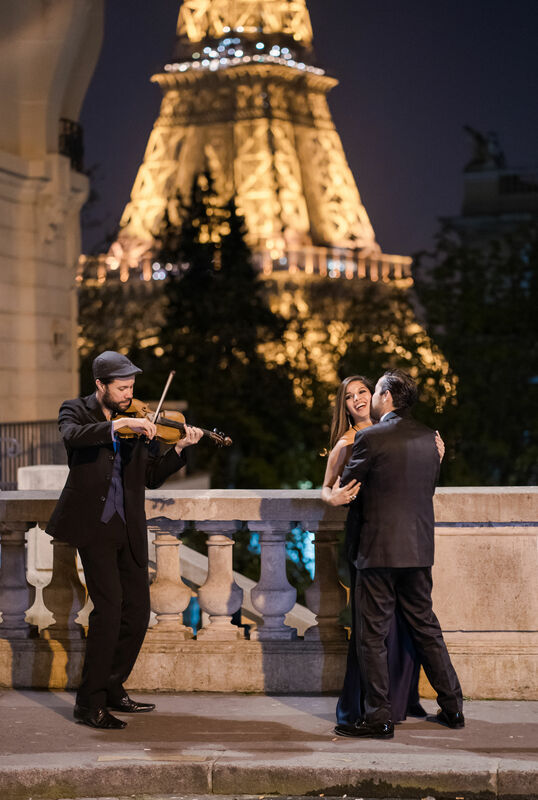 We planned to meet late – after my bedtime at 11pm, ha!! 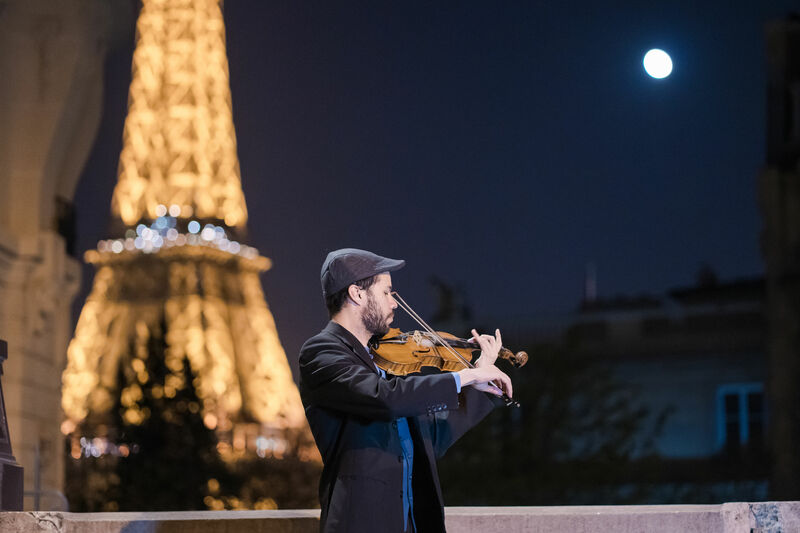 – and Rafael the violinist was on board as well! 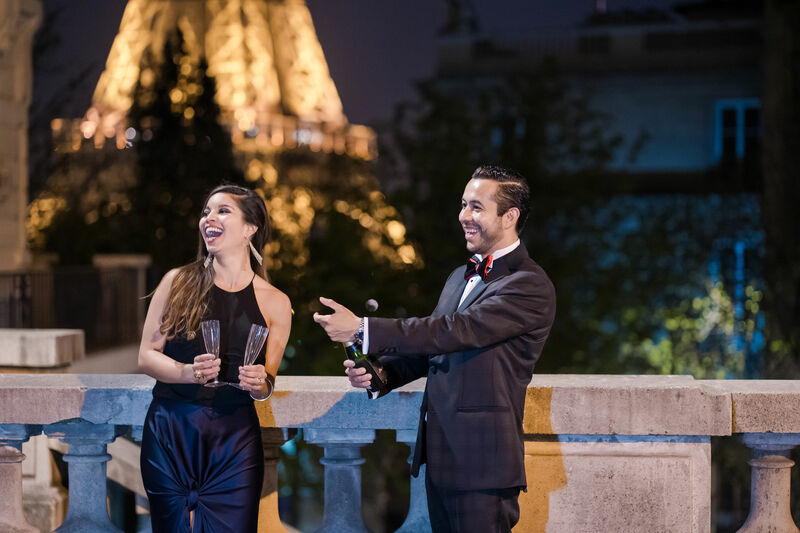 We had an almost-full-moon in view, a lovely serenade by Rafael, a sparkly Eiffel Tower, and champagne for a celebratory toast! 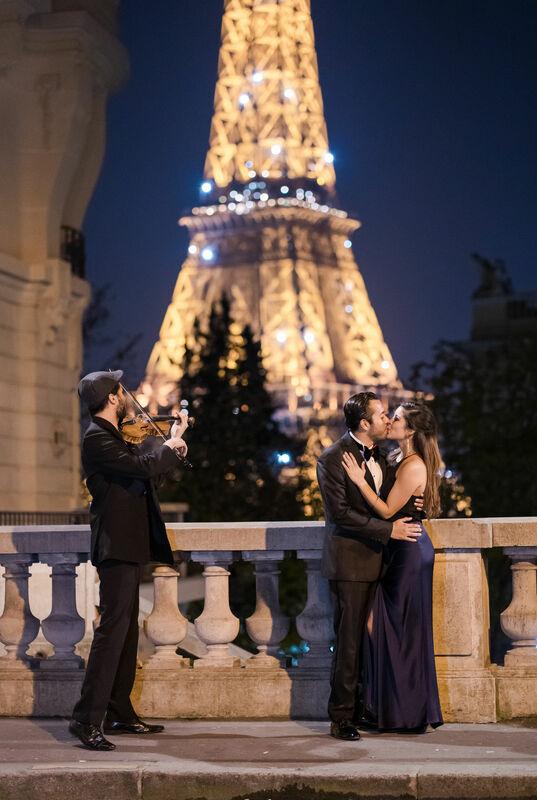 It was the perfect night, and I was honored to have been a witness to the occasion! 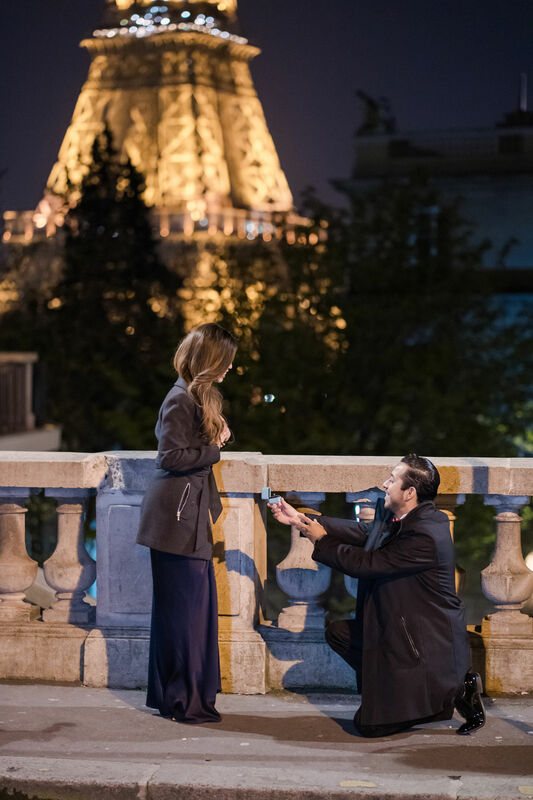 Let’s plan your proposal in Paris! 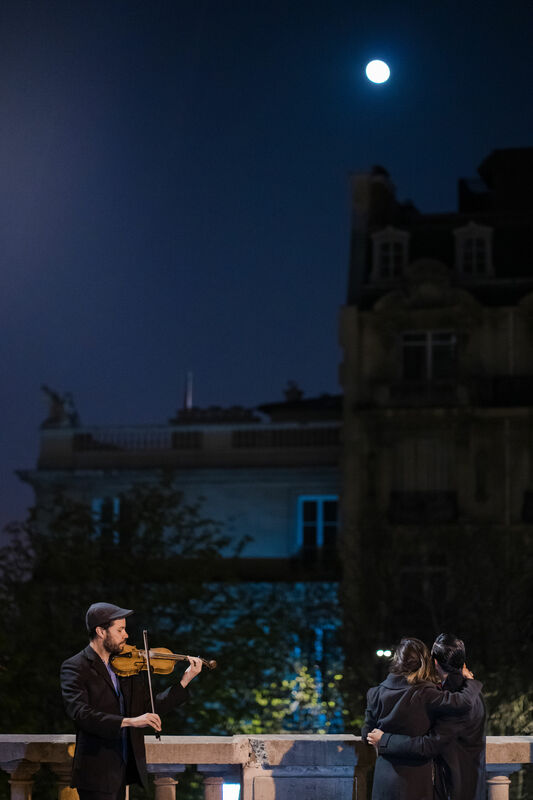 Read more, here.